11/17/11 – Well, this one like the HP-8 was caught up behind so much else. Parts are being made. The bodies are being rough cut by water jet to remove as much material as possible. This cuts down on machine time. Handles are being cast; irons are being roughed out before we go to lapping;someone is cutting down a nice pretty walnut tree in order to make the boxes..
Hopefully things get wrapped up before the end of the year. 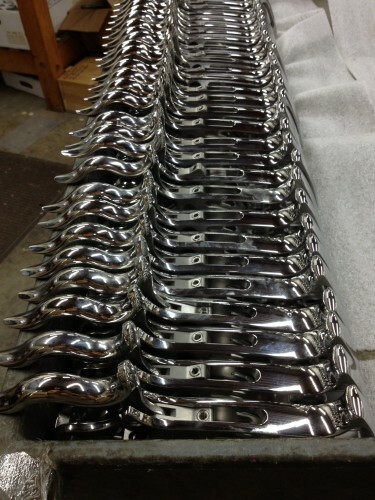 12/1/11 – The laborious process of polishing the outside surface of the handles has started. My ears burn while this is happening since I believe the polisher is generally cursing at me while performing this operation. 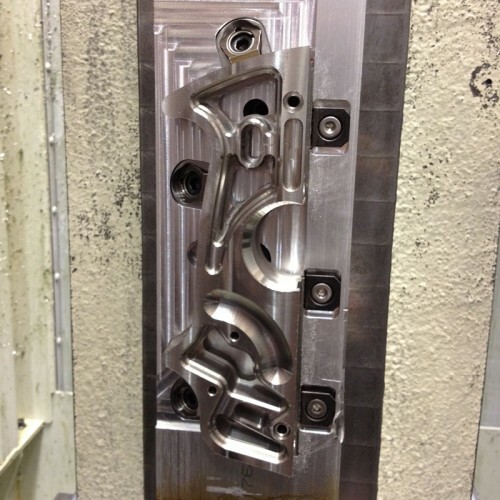 The extrusion die for the Fence is made and the metal is being pulled right now. The other day as I was pushing green Play-Doh through the plastic screen to make some grass for my kid, I was trying to tell him the history of extrusions. He rolled his eyes and grabbed my iPad and showed me the Wikipedia page that had it all there. Ever use a squirt gun? Well, we use a rather high powered one to rough out the Body of the SE Crowning Plane. This example might be a few weeks late, but Water Jets can cut through basically anything. 12/8/11 – Really? Nobody found this to be informative and educational enough to leave a comment? Are you all spending so much time on John’s Totally Useless and Worthless Blog that you don’t have the energy to leave a comment about how cool that pumpkin is? Check out these irons that I found at the local Woodworking Tool Part Supply Store. Sold only in 11 packs! 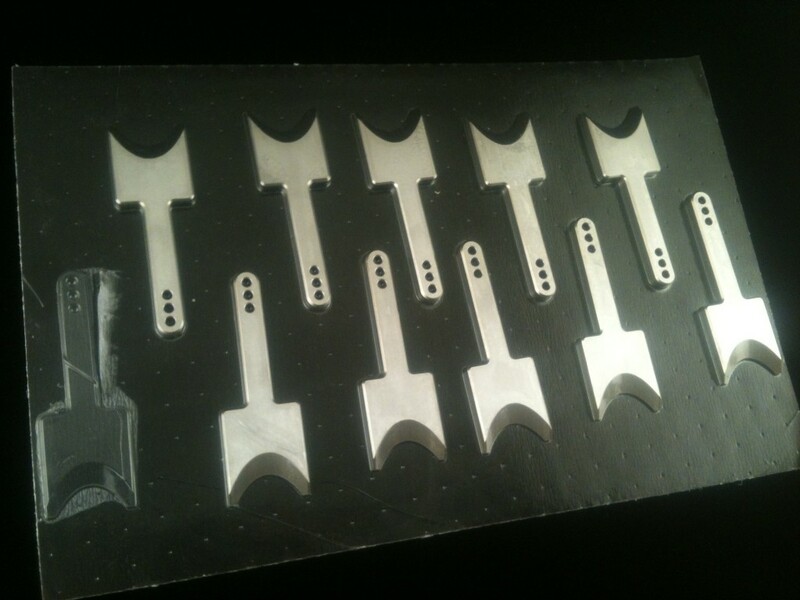 I am going to get these lapped to a mirror polish, they should work out ok for this Crowning Plane. These will not get out the door before January 1 (2012, har har). I am pushing for mid January completion of parts. 12/15/11 – Most of the individual parts are done. 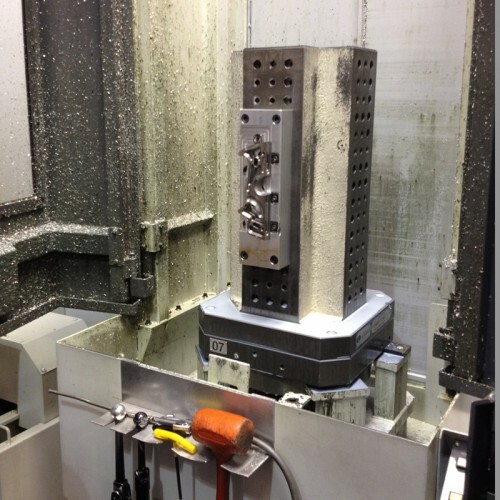 The bodies are being machined. I will get some pictures of them next week! 12/22/11 – Unfortunately I was not able to get pictures this week. The elves were working on the bodies, but their bosses were already on holiday. How typical! Irons go to the lapping operation shortly. I need to get pictures of those things in the works too. Cool stuff ahead! 1/5/12 – Lapping the irons is in progress. The bodies are underway too, I have not heard of the exact timeline on them yet though. Hence not pictures this week. Ugh. Sorry about that! 1/12/12 – Here are some shots of the SECP body being made. The photos are from different stages of the process. Here is a blank prior to machining and after waterjet. The blank is mounted to these “tombstones.” For this project, there are 2 fixtures in process each on its own tombstone. There is a robot on train tracks that comes over to the tombstone above, and takes it and drives it over to one of the 3 horizontal mills that this outfit has. Here it is in the mill. There is not a viewport in these machines, so we paused the machine to take a look inside. 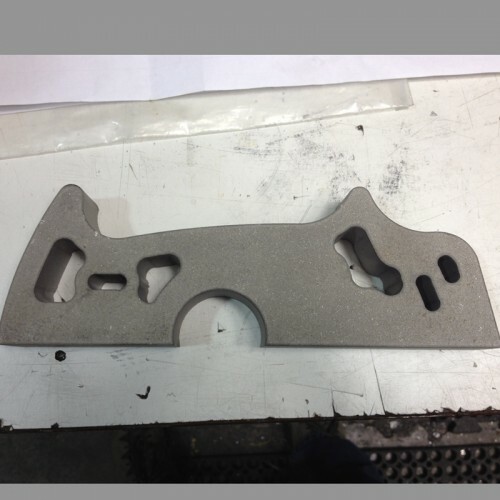 Here is the machined body prior to bead blasting the inside parts. 1/26/12 – Careful beadblasting is happening on the body right now. 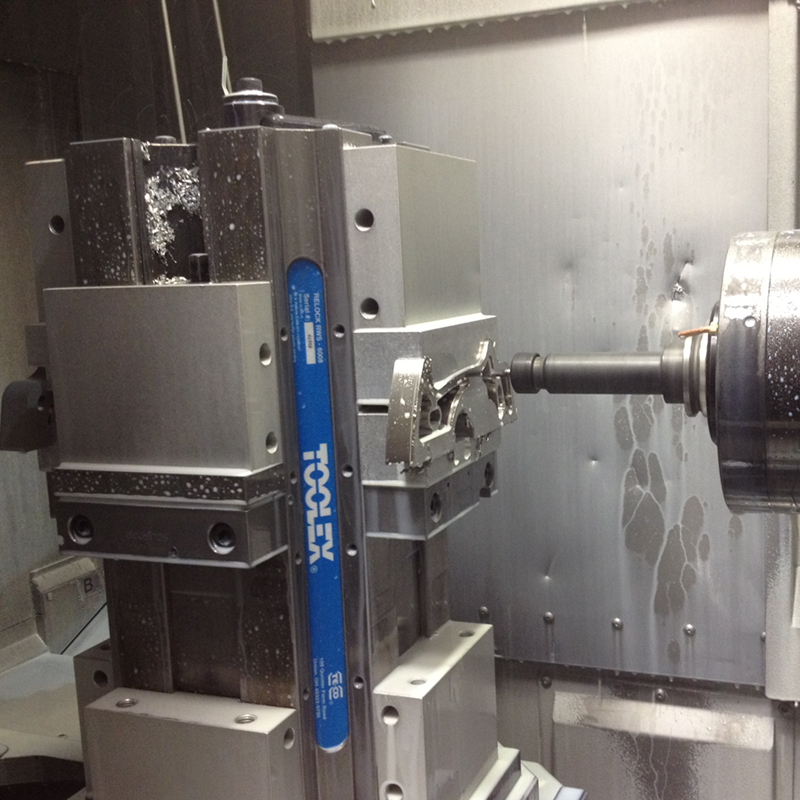 Assembly of the handle mechanism has started too. The new radial knurl should be in next week so we can complete all of the knobs. 2/4/12 – Walnut boxes are being finished up, parts are done, sub-assemblies and final finishing is happening. The fence extrusion finally got delivered too so they will be whipping those out fast for me. 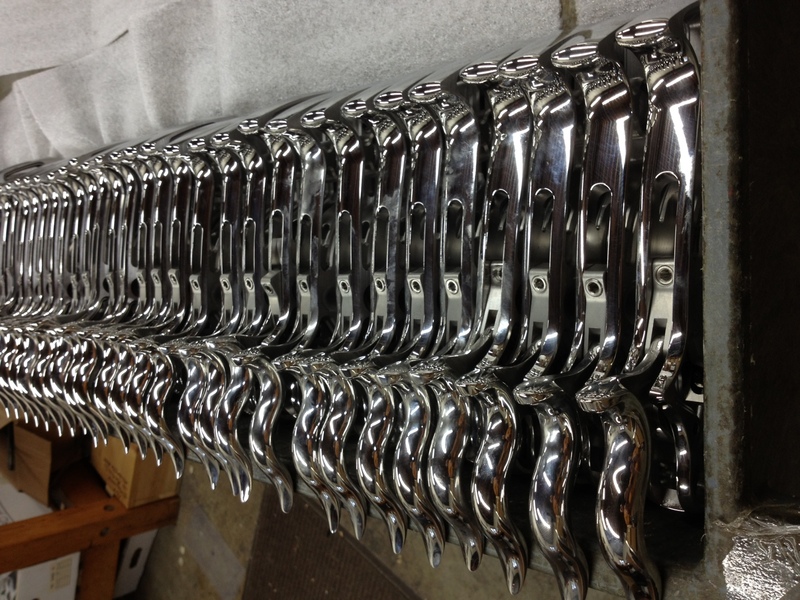 The bodies just need the polishing and graining, then we drop the handle assemblies in and wrap them up. This should be ready to go out within 2 weeks. 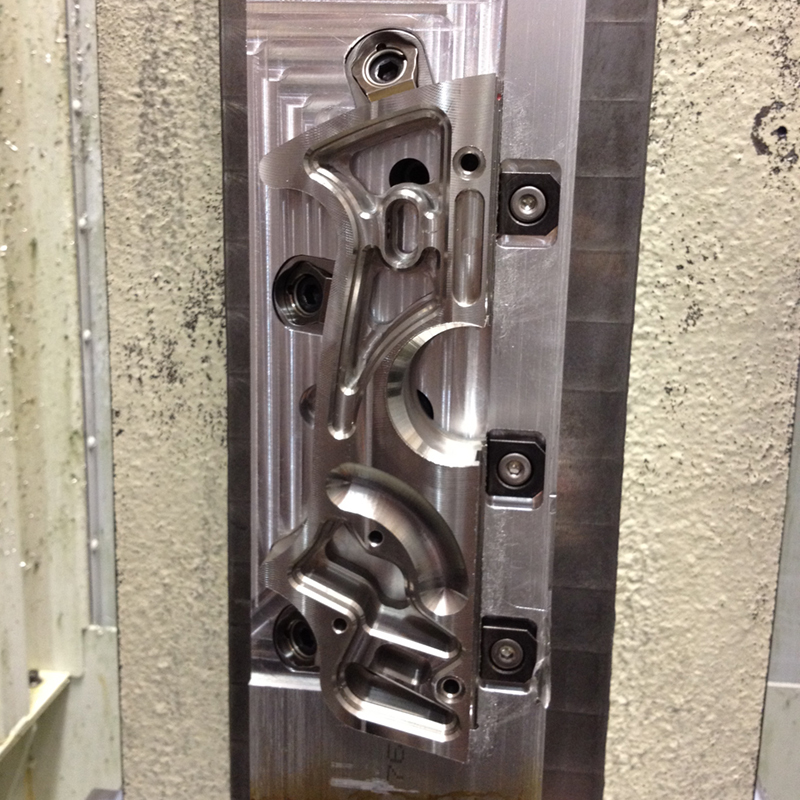 It will mostly come down to the Fence machining and anodizing timelines. 2/9/12 – Polishing the outside edge is happening now. The polisher snickered at my 50 measly little planes. He is used to doing pallets of Mack Truck hood ornaments. Fences are being machined. Down to the wire now. 2/16/12 – Polishing was not yet completed, probably the beginning of next week. Fences look cool. Someone wants to make a golf putter out of one. They will go to the anodizer next week. 3/1/12 – Final assembly and fit and finish starts next week. John and I do the final assemblies and inspections for each of these tools. These should ship out on the March 14. 3/8/12 – On track to get these out next week. Looking good! 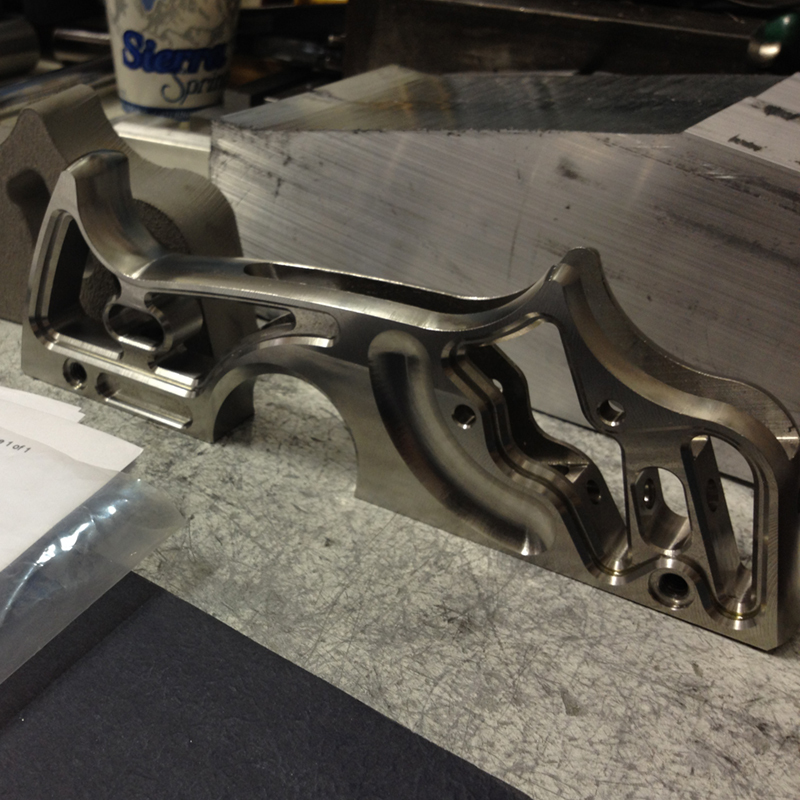 3/15/12 – John and I spent most of the week in the shop, doing final finish work on these things. The are looking great! The first few will head out the door Monday, the rest on Tuesday. 3/22/12 – Most went out this week. A few stragglers need to call us back to confirm credit card numbers.